School's Out! Join us for a fun-filled camp at Just Play on February 10th to 14th for only AED 225! 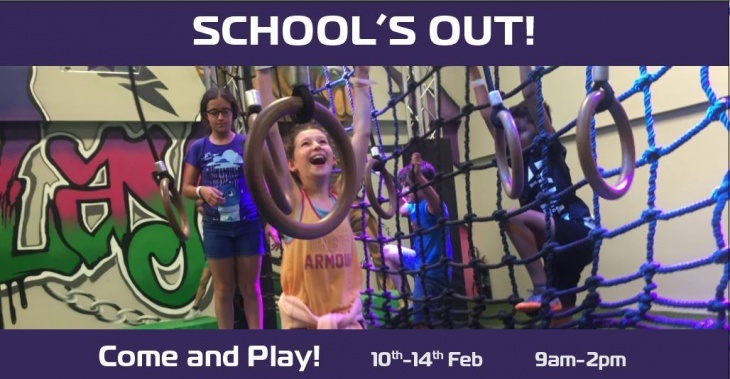 We’ve got it all going on right through this half term camp: ninja warrior, trampoline park, football, gymnastics, arts & crafts, fitness and fun fun fun. Each day, children will enjoy a range of amazing activities across our facilities, supervised by qualified coaches to ensure there is a fun and safe environment for all. Sorted into age groups on arrival, children will be able to enjoy fun games and sports challenges in football, gymnastics, dodgeball, tag rugby, dance, arts & craft, and much much more. Whether your child is just starting out with sports, or is a budding professional, we will tailor their day to make sure there are happy faces and tired bodies at the end of the day! Click here for more questions or to register.